Today Rody Boonchouy @rodyboo from the Buck Institute talks about effective project based learning. With a powerful metaphor explaining the difference between projects and project based learning, Rody sets the stage to discuss PBL trends and tips. Let’s dive deeper into PBL. Today’s Sponsor is TeacherVision. TeacherVision gives you professionally curated teaching materials that align with their FutureFit Curriculum enhancement framework. FutureFit aligns social emotional learning and character education with your traditional subjects of math, language arts, sciences and more for grades K-12. To give you a closer look, they’re giving away their Spin Factory math lesson plan at http://ift.tt/2wbOQiR. Fidget spinners, math and FutureFit combine to make a powerful fun lesson. Check out TeacherVision today. Below is a transcript modified for your reading pleasure. For information on the guests and items mentioned in this show, scroll down to the bottom of this post. This enhanced transcript will be posted as soon as it is available. In the meantime, listen to the show! A former PBL principal, teacher, and school development coach, Rody has comprehensive expertise and practitioner experience in instruction and leadership for Project Based Learning. He began his career teaching overseas, and in 2003 founded a New Tech Network school in Davis, CA. He taught for seven years as a high school PBL English teacher and served as a principal of a PBL high school before joining the staff at the Buck Institute for Education. Rody completed his dissertation on leadership for Project Based Learning. As Senior Director of Innovation and Strategic Partnerships at BIE, Rody oversees BIE’s high profile grants and program development, national institutes, and partnerships. During his tenure at BIE, Rody led the development of BIE’s National Faculty community, a consultant group of 100 members made up of PBL practitioners, leaders, and experts. He joined BIE as a National Faculty member in 2007 and has served on staff since 2013. Rody has a BA in English from U.C. Berkeley, M.Ed. from U.C. Riverside, M.Ed. from University of La Verne, and an Ed.D. from U.C. Davis. He also holds single-subject and administrative credentials. The post Thinking Project Based Learning with the Buck Institute appeared first on Cool Cat Teacher Blog by Vicki Davis @coolcatteacher helping educators be excellent every day. Meow! Today Carol McLaughlin @missmac100 second grade teacher from Alabama and #2ndchat moderator talks about the global trends in second grade. From Project based learning, global projects and steam to the biggest heartbreaks of second-grade teachers, Carol shares it all. She gives a pep talk for second-grade teachers that will get you excited to innovate! Even if you don’t teach second grade, you’ll learn a lot. Vicki: Today we’re talking with Carol McLaughlin @missmac100 from Alabama, but she is the moderator for Second Chat #2ndchat, currently. And today, Carol, we thought we would talk about some of the trends we’re seeing in second grade across the world. So what’s hot with second grade teachers right now? Carol: Well, what I’m really excited to see is that second grade and other primary classes – but second grade are starting to do Project Based Learning. That’s always been really elevated in the upper grades, but I’m starting to see second grade and lower do some Project Based Learning in their classrooms. Vicki: Do you think teachers are really grasping that difference? Carol: The ones that are on Second Chat do. They realize that it’s not just a project. And projects are great, all on their own. They have their place, and we still do projects. But Project Based Learning is a whole other animal, and so I see teachers really trying to get their kids involved and engaged in problems they can solve. [They’re] using all the skill they need to solve it with a real audience and finding experts in that field – because kids can do that, and they get excited about what they’re learning because they’re solving a real problem. Vicki: Can you think of an example that you’ve seen lately? Carol: Yes! My class collaborated with our local zoo. I happen to know the educational director, one of the education directors at the zoo, and I wanted to do something with animals that was a big standard that we had. I wanted research to be part of it, but I also wanted to help the zoo because the zoo has been really rebuilding. They redesigned their zoo, and I wanted kids to be really excited about it. So, I contacted him, and we made a project together, where he asked us to try to think of some animals that would be a good addition to the zoo, [some] that they didn’t currently have. And so they had to research what the zoo already had, and then they had to research what animals would be good for the zoo, and animals that kids would like. They did all this research, and they polled kids [about] what they wanted, and they sent all their results to the zoo. Not knowing that they didn’t mean to get that zoo animal, but it just meant that they had input that the zoo would listen to. And that was fun for them to do that. Great teachers will contact people and see what they can do. The worst thing they can do is say “no.” You already DON’T have a project with that person, so you have nothing to lose. Great teacherpreneurs create partnerships to pursue learning like business entrepreneurs create partnerships to pursue business. We can do this. Vicki: Did the zoo listen? Carol: They did listen. They didn’t have to get that animal, but they gave them feedback and told them what they liked about it and why they could or could not get that animal. But they were so excited! We skyped with many of the zookeepers, and they talked to them about why the animal would be good for the zoo or not. They learned so much more than they would just doing a little animal research project. Vicki: Oh, so much. OK, what other trends. Project Based Learning, what else? Carol: I noticed that a lot of Global Projects are huge right now. We want our kids connected to other classrooms around the world. It can be as simple as just solving a math problem with each other, or doing a science project, or doing a whole chapter book that we are sharing books and ideas with. Vicki: You connect and collaborate with guests we’ve had on the show. Why don’t you tell us [about] one of your collect global projects? Carol: Oh my goodness. One of the coolest ones I did was actually with Tim Cahey, who teaches in Chicago, and another teacher taught in Canada, which was not Vickie Margado but another friend and another teacher taught in California, and then I was in Alabama. We collaborated with an author, Tricia Springstubb, who wrote Cody and the Fountain of Happiness. We all read the same book at the same time, but we each shared ideas throughout it, and we had different things we talked about in the book. At the end, the author skyped with all four of our classes, which was fun! Vicki: Oh, wow. When you get creative and you become a “teacherpreneur” like you are, you just put together – it’s almost like, you know, business deals, but it’s really deals between classrooms, you know, because you’re a “teacher-preneur.” OK, what else? So we have Project Based Learning, we have Global Projects. What else? Carol: Of course, STEAM is a big thing that teachers are wanting to do in Maker Space. Having kids get very involved in using all the parts of STEAM. What I love about Twitter and other things from #2ndChat is that we get to share ideas and talk among ourselves about ideas we have, but we can also contact people. Chris Woods — he is @dailystem on Twitter – and he’s done our chat a few times. He is an expert in STEAM and STEM and science. He gave us great practical ideas about how to make every day STEAM activities and how to easily integrate it into your lessons. Vicki: OK. So, let me ask you this. We talked about three ideas. What’s the biggest heartbreak of second grade teachers right now? Carol: I see a lot of people struggle between wanting to do innovative things and the pull for some to stay traditional because testing, sadly, has gotten all the way down to second grade. 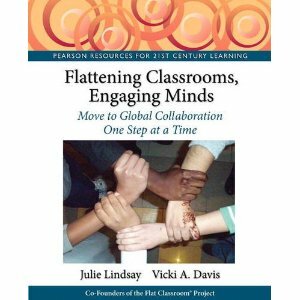 The push for getting all the content in – and people keep it all isolated, instead of thinking about it being integrated – which is why Project Based Learning works, and STEAM works, and these global projects work so well. They teach all of these things in a way that makes sense to kids, but we don’t always have people join with us. So a lot of the time, I feel like we’re “lone wolves” in our schools. That’s heartbreaking because the whole part of teaching that’s fun is to do it with someone else, get excited, share ideas. We’re better together. Vicki: Absolutely. What do you think is a mistake that some second-grade teachers are making right now, besides maybe just the traditional piece? Are there common mistakes you’re seeing? Carol: I think sometimes second grade teachers are scared to let [go of] control of their classrooms, and also the technology, thinking that their [students] are too young to do it. And they’re not. Second graders are amazing in technology. They’re leaders, already. They can do a lot of these things. I think [the teachers] are kind of scared to let go – it’ll be chaos – but if you have them in the right project and the right activity, doing the right things that are very engaging, kids will take off with all those things. They will surprise you beyond what you could possibly ever do. I think teachers just don’t want to let go all the time, scared of what might happen. But that “what happened” is the most fun part! Vicki: Yeah. So, Carol, could you give a 30-second pep talk to all the second grade teachers listening right now to give them the energy to just be awesome for their kids? Carol: You do not know what you’re missing if you don’t try some of these things. Maybe you’re scared, and maybe you don’t feel like you’ve have someone else to do it with, but reach out online –through #2ndChat or through some other second grade teachers online. Ask other people in your district. There’s someone else who’s willing to try it. Just try it. One time. Start small. Do something like maybe an integrated unit or a small Project Based Learning or a STEAM activity or a global project. Start small. You will become addicted to it. You’re going to want to do it more and more, because your kids are going to benefit, and your kids are going to learn more than you can possibly imagine. Vicki: So, join #2ndChat, and remember if you’re in another grade, there’s #3rdChat, there’s #4thChat, there’s #5thChat, there’s #KinderChat, there’s #1stChat. There’s all these chats out there, where you can find awesome, engaged, excited teachers like Carol. Like you, we don’t have to be an island of innovation. We don’t have to be alone. We’re better together. We get energy from one another. So, you need to join in, be part of the chat and the community, and learn. Carol, I know that you started as a “lurker,” right? With all of the Twitter chats, there’s no reason for teachers to feel isolated and alone. You can find collaborators and people to join. Carol: I did! I just read everything for a long time. But the magic happens when you engage with others. Vicki: Yeah. Yeah, it does. So, get out there. Be a remarkable educator. We’ve had so many wonderful ideas today. Carol has been an elementary educator in the primary grades for 26 years. She holds a Masters Degree and a National Board Certification. She has presented in various school districts. Carol was a PBS 2016 Digital Innovator and also serves as the moderator for #2ndchat. Carol believes this is the best time to be a teacher and a student with the integration of technology to expand the classroom globally and to display learning in new and exciting ways. She believes that student choice is vital to creating a love of learning. 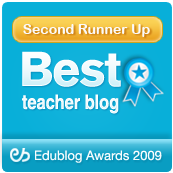 The post What’s Hot in 2nd-Grade with #2ndchat moderator Carol McLaughlin appeared first on Cool Cat Teacher Blog by Vicki Davis @coolcatteacher helping educators be excellent every day. Meow! Today Dr. Michelle Zimmerman @mrzphd talks about social emotional learning and education technology. With insights on everything from Minecraft, to digital inking, to common mistakes made with technology and SEL, Michelle gives us an important overview of two things often not discussed together. Below is a transcript modified for your reading pleasure. All comments in green are made by host, Vicki Davis and are not part of the original transcript. For information on the guests and items mentioned in this show, scroll down to the bottom of this post. Vicki: Yes, you can use Ed Tech and Social Emotional Learning! Dr. Michelle Zimmerman @mrzphd is with us today. Her original research went into the design of Renton Preparatory in Seattle, which was a 2016 Top Three STEM School in the nation. Michelle, you’ve done some fantastic work with Social Emotional Learning and Ed Tech. I guess the first thing that brought me to you is that you’ve actually seen that Minecraft can help improve social emotional learning outcomes? What’s the deal with that? Michelle: It’s really interesting, seeing what can happen when you use gaming as a vehicle instead of just as looking at gaming for an increase in test scores for a certain content level. Kids are already motivated to use and play Minecraft on their own, and already start naturally collaborating with other kids. If you take that learning and harness it as an educator, and then figure out the kinds of questions to ask, how to really reinforce those types of positive interactions — over technological devices, and questions, collaborating, being able to be creative with each other — you can start building in social emotional learning with those kids in the classroom. One of the ways that is really fascinating to see that happen is when you’re having older kids work with younger kids in a cross-age mentoring model. It gives them a chance to start teaching someone else. And when you become a teacher, you learn things in a way that you didn’t as a student. You start questioning perspectives and developing something called Theory of Mind, realizing that other people think differently than you do. That can be really powerful in helping harness social emotional learning to realize how your actions impact someone else. Vicki: So, what kind of changes did you see in the kids as they played and used Minecraft in this way? Michelle: One of the things that I noticed was that when someone has an idea of building something or creating something they have one perspective. They imagine that other people see it in the same way that they do. When they start working with a younger child, who has questions that they may not have foreseen, it gets them to start questioning things from their own perspective of “How can I see this content in a different way?” or “How can I help them understand?” This deepens their own thought process. It also starts building a relational connection with that younger buddy, and when they have that relational connection, they’re more motivated to persist when things get difficult. As we know as teachers, it gets challenging, trying to teach someone else, because not everyone understands things right away the first time. But being able to have that compassionate empathy, start building that connection? There’s a theory of motivation that’s called self-determination theory, and it looks at three innate psychological needs that humans have. One of them is relatedness. One of them is a feeling of being competent. Another one is a feeling of autonomy – that you have some choice. Minecraft allows kids to interact at all those levels, especially when they’re doing something with a cross-age mentoring. They build a related connection with someone else. They have a sense of autonomy and choice in how they go about building or creating or explaining and describing. Then they have a feeling of accomplishment in being competent in something and having more experience than another child when they’re mentoring. Cross-age mentoring is a vital concept here. In my own classroom, I have my students run Hour of Code each December for the whole school – grades K5- sixth grade. A powerful understanding of the concepts they are taking emerge as they teach and reteach to younger children. Even if you don’t have multiple ages on campus, this can be accomplished through Skype or other video conferencing tools. Vicki: Last night I was watching “To Kill a Mockingbird.” I try to watch it at least once a year. And one of the beautiful things in that story is how Scout learns to see the world through someone else’s eyes. And that’s really, I’ve noticed, when my kids play Minecraft, when my kids do multi-age mentoring, they think differently. They become more empathetic. They become better communicators. Have you seen some other edtech tools besides Minecraft that can have this kind of social emotional impact? Michelle: Interestingly enough, something as simple as digital inking can have that impact. I did a study, several years back about some of the older children working with younger children, (pre-kindergarten), just very basic digital inking, starting with colors and talking to 3 and 4-year-olds about their favorite colors, showing them how to use the tool. It worked really well with kids who were English language learners who weren’t really talking in class. But their teacher realized that one girl, in particular, understood more English than she was articulating. Pairing her with an older girl in sixth grade at that time – one who wasn’t one who was really excited about turning in homework or engaging other classroom content – really worked well with this girl. She started talking to her about colors, having her repeat back, getting her to gradually articulate things, and being able to use the recording device on the computer with the digital inking, show the progression and this interaction between these two kids. It was incredibly dynamic. By the end of the school year, we had a series of recordings that the sixth grader captured – from the very beginning — digital ink colors — all the way through the girl drawing Early Literacy words, invented spellings, pictures on the screen, and telling a full story about a princess. Being able to have that early literacy foundation as an English Language Learner, but even more, it caught the dynamic interaction of that sixth grade girl who didn’t really show a high aptitude on test taking, but (she had an) amazing depth in the way that she interacted with this younger girl over digital ink. In this case, they are using digital ink and building a learning journal or portfolio. Many schools are moving to portfolios as a way to capture learning instead of a polished final product. Then, you can observe the changes and progress that has been made as in this case. See: Creating Elementary Portfolios and One Note in the Classroom. Vicki: Cool. And were you using OneNote for the digital inking experience? Vicki: Cool! And that’s such a fantastic tool. We’ve had shows on that before. I’ll put the links in the show notes. SEL Observation #4: Are there ways technology can hurt social emotional learning in the classroom? So, I have a question. You know, a lot of people say that technology is actually hurting social emotional learning. What are the mistakes that educators and parents are making that you think might actually hurt social emotional learning? Michelle: That’s a great question because any type of technology, any type of game can either be used in a positive way or it can become destructive very quickly. Even technology – computers in the classroom – can. It can be destructive in getting kids distracted, there can be cyberbullying, there can be emotional impact on kids feeling isolated or left out in groups that are collaborative. One of the things that I think that teachers make a mistake of is assuming that technology will take the lead. Then if you just follow that and allow the kids to jump in — because they’re “digital natives” and they’re going to automatically know how to interact with technology and with each other. But there are studies that have been showing up that [indicate that] even if you’ve gotten kids to be able to dialogue and converse in person and work through some of those differences, that same dialogue doesn’t work the same when it’s over a technological device. So, one of the most important things that I noticed is – teachers [need to] really intentionally use those as positive examples and find those students who are effectively using technology to build others up and then model it themselves. Vicki: So, Michelle, you’re SO speaking my language. I use a term – I don’t know where it came from, but I wrote about it in Flattening Classrooms, Engaging Minds called Technopersonal Skills. Interpersonal is when you’re face to face, but Technopersonal is when you’re communicating with another person but technology is in between. And you really do have to teach someone how to use technology to communicate, don’t you? Michelle: Exactly. And I found that out the year that I started doing research in the (use of) Portal in the classroom. That turned into a four-year research study in the classroom. It was FASCINATING because I assumed that this group of kids knew how to play Portal already, or first person perspective games. Some of the kids who were most adept at playing the game had the hardest time articulating, because they knew what they were going to do. They knew their perspective and direction. We see that with adult educators, too, who are really well versed in their content area – anywhere from early childhood to college instructors. It’s this inability to remember what it was like to try and start those things on your own. That’s where some of the communication breakdown started to happen with the kids, just like it does with teachers. It’s this feeling of “How come you can’t get this?” or a frustration with they couldn’t get their partner to be able to do the same things that they knew how to do really well. What can you say instead, or how can you point or describe the object that you’re seeing if they can’t see it? And that started building perspective taking. Important takeaway: Just because a class is relating in a face-to-face environment DOES NOT MEAN that they will in an online environment. As you blend your classroom, pay attention to the BRICKS (face to face) and CLICKS (online) classroom. Vicki: Wow. Teachers, we have so much to dive into. But as we have blended learning environments, as we bring games into the classroom, I think that it’s just important for us to understand that there are positive ways for us to use all of these tools to improve social emotional learning with technology. But there’s a pedagogy, and we need to get involved in that and understand it. One way you can do that is to check the show notes. Follow Dr. Michelle Zimmerman. Her work is fantastic, and her school’s doing amazing things. It’s very exciting to see what she’s doing and to apply that in our own classrooms. Michelle: Thank you for having me here. Michelle Zimmerman, PhD, has taught all grades from Pre-K through 10th within the past 17 years, with a focus on middle and high school since 2009. She has presented her research across the US and Canada since 2007. The evidence of her original research and theory into practice can be seen in designing Renton Prep . She was thrilled to see the school become FETC STEM Excellence Award Finalist for 2016 as top 3 STEM Middle Schools in the Nation, Microsoft Showcase School, and receive the Award of Excellence for Digital Curriculum and Content Strategy from The Learning Counsel, and the inaugural Lester R. Bayer Award for Excellence in Urban Education. Dr. Zimmerman is a Certified Microsoft Educator, Microsoft Innovative Educator Expert, Surface Expert, 2016 Lead PBS DigitalMedia Innovator, and was named 2016 NCCE Outstanding Technology Educator of the Year, and received the Ahead of the Class – Excellence in Education Award (presented by Renton City Council and Seattle Seahawks). In 2017 she was awarded her second year as MVP by Microsoft for her International contributions to Education influence and was one of 20 educators selected to represent at the Learn What’s Next event in New York . Her high school STEM students co-authored an invited chapter with her to add to her original research chapter in Revolutionizing Education with Digital Ink: The Impact of Pen and Touch Technology on Education (Human-Computer Interaction Series, Springer 2016). The legacy of her work is expressed through her students submitting their own proposals, speaking at international conferences and co-authoring invited blogs. She has also spoken at New York Academy of Sciences for Scientific American and Macmillan STEM Summit, NYU, UCLA, UW. Under her leadership, her school was the first to pilot HoloLens Mixed Reality from elementary through high school. The post Edtech and Social Emotional Learning #sel appeared first on Cool Cat Teacher Blog by Vicki Davis @coolcatteacher helping educators be excellent every day. Meow! Today Shelley Burgess @burgess_shelley helps us understand the leadership role we all play. And while we want to do what is best for students, how teachers and how they are treated is important too! Below is a transcript modified for your reading pleasure. For information on the guests and items mentioned in this show, scroll down to the bottom of this post. All comments in green are from Vicki Davis and were added after the show was recorded. Vicki: Yes, we can Lead Like a Pirate! We have Shelley Burgess @burgess_shelley with us today. And we’re going to talk about how we can make school more amazing, but maybe in a different way than you’ve heard it before. Shelley, there’s a lot of talk about making school great for kids, but what’s YOUR thought – another thought – about maybe making school great? Let’s make schools great for students AND teachers. Why not? Shelley: You know, one of the things that we talk about that happens, Beth Houf, my co-author, that I talk about like a pirate — is this concept, that we want to make school amazing for kids — but we also want to make school amazing for staff. And, a motto that we sort of follow and live by is that, we want to create schools where students AND staff are both running to get in, rather than out. And so I think that we talk a lot about making school amazing for kids, and for our students, but not as much about how do we create experiences in a culture and an environment where our staff are also wanting (you know, waking up excited) wanting to come to work and creating those amazing experiences for kids in their classrooms. Vicki: Why can’t we have both? Why can’t we have a place where students want to come to school, AND teachers want to come to school? I really agree with you that maybe this whole “teachers finding meaning and wanting to come to school” is perhaps being left out of the narrative. Shelley: Yeah! I agree. There’s a section that we talk about, in Lead Like a Pirate, where we talk about this concept of really knowing, in the position that you’re in, who your primary clients are. You know, drilling down to, “What are the right experiences for kids?” is critical. But I think that in our role as school and district leaders, often our ability to do what’s best for kids lies in our ability to inspire the adults in our system. Vicki: Well, and we’re all people of value. I mean it might be best for kids that I’m available online 24 hours a day, but I do have to sleep. Vicki: So, yeah, we want to do what’s right for kids, but honestly, sometimes I think it’s right for kids to know that I’m a human being. And I might need 10 minutes alone at my desk. Vicki: Like, not during class. But, you know, during break. I mean, I need to go to the ladies’ room. I need a break at my desk sometimes, you know? Shelley: Absolutely! I think that that’s another piece of the argument that we make sometimes, is that, “Where does it stop?” Just like you would hit it on the head, well you know, if I were available 24 hours a day for kids, that might be best. You know, if we taught 365 days a year, that might be best. If school days were extended 15 minutes, 30 minutes, 2 hours – you know, some might argue that THAT would be best. You know, we’ve got to really think about – in leadership roles – that we can’t do what’s best for kids at the expense of what’s best and what’s right for the adults who work with us. How do we create a culture of respect? Vicki: Well, let’s face it. It’s not best for kids to have unhappy, complaining, whining, upset adults in leadership. How can you be a great leader if you’re upset about so many other things? One of the things that we tell people first is this idea that you’ve got to – there’s a couple of things. First of all, you’ve got to recognize that, in your school, that classrooms are where the magic happens. You know, teachers are with kids – and I was a principal in an elementary school, so in our case, teachers are with that same group of kids for like six and a half hours a day. THAT’s where the magic happens. I can’t, as a principal, teach all 750 students who are in my school. But, boy, I can recognize that that classroom’s the place where that magic’s happening. And then I need to BE THERE. I have to BE in classrooms as much as possible to see what’s happening. Vicki: So, Shelley, how can we turn this around? This is Motivation Monday, and we want to have this positive environment, but lots of us teachers – I mean, we are where we are. How can we all shift, so that teachers want to be there, too? Shelley: Sure… you know, a piece of advice that we like to give to leadership in schools – and just know, too, when we talk about leadership, we don’t just mean people who have a leadership title in their name. You know leaders are everywhere in every positon in our schools and our districts. You know, I don’t know that there are – that we can appreciate people enough for the work that they do in schools. You know, I’ll just give an example of being in classrooms. You know, I was talking about that a little bit earlier. That recognition that that’s where magic happens. Taking a moment and approaching it with that lens of “I want to go and visit every classroom on my campus, or every department on my campus.” You know, if I’m a teacher I want to visit some colleagues or stop by the cafeteria. I want to go in with a lens of giving a message of appreciation – for something that I notice and something that I see… that someone’s doing that’s making a difference for another person, or whatever it might be. But that’s a place that we always talk about starting. Stop looking for what’s wrong. Stop looking for what needs to be fixed. Pay attention to what needs to be appreciated and called out and noticed. Do it. Go on those appreciation walks. Vicki: I love that. Instead of “fix it” have a celebration mentality. So, Shelly, give us a 30-second pep talk to motivate us to help make our school a better place. Shelley: When we think about schools, and the magic of schools, it’s about the people. It’s not about programs. It is about taking care of each other. It is about the relationships that we build. It’s about recognizing that all of us are human. All of us might have the capability of making a mistake, but also being forgiven. We have the capability to forgive, to do all those things. It’s about building a culture where we respect each other, we treat each other well, we appreciate. I don’t know that I’m saying it right, Vicki, but THAT’s the magic of schools. This is a people business. And we’ve got to take care of our people. And we have to take care of each other. And we have to build each other up, not tear each other down. If we can start there? You know, “Motivation Monday”? What can I do today that’s going to pick somebody up? Or, do something nice for somebody else, to think about them before I think about me. You know, what might that look like? As you start every day, or you start your week with that mentality, I think that’s a great way to start that movement, to start in that direction. Vicki: So, Shelley has given us a challenge. Let’s BE the Motivation Monday in our schools. Let’s be encouraging. Let’s celebrate others. Let’s be part of that leadership team. OK. You are the front. You’re the front line. So, let’s encourage one another – and let’s Lead Like a Pirate! Shelley: I love it! Thanks, Vicki! Shelley has served as an award-winning teacher, principal, Director of Student Achievement, and Assistant Superintendent of Educational Leadership. Her highly respected work focuses on building leadership capacity through coaching, collaboration, and building a positive culture of change which leads to dramatic improvements in teaching and learning. She now works as a full-time partner in Dave Burgess Consulting, Inc. and is the co-author of Lead Like a PIRATE: Make School Amazing for Your Students and Staff and P is for PIRATE: Inspirational ABC’s for Educators. The post LEAD Like a Pirate: Make Schools Amazing for Everyone (Even Teachers!) 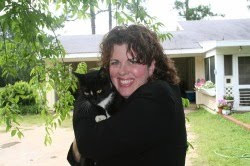 #LEADLap appeared first on Cool Cat Teacher Blog by Vicki Davis @coolcatteacher helping educators be excellent every day. Meow! Nonfiction text is important for student reading. However, it can take so much time for teachers to find appropriate articles, reading levels, and content related to what is happening in the classroom. Using online materials can add another level of problems. Your text can be ad-free one day and full of advertising the next day. Even worse, the link might break or lead to spam content. With an increase in nonfiction reading in national and state standards, teachers need an answer. I’ve found a tool that can help with inquiry-based learning, nonfiction reading, and meeting standards: Kids Discover Online. This post is a sponsored by Kids Discover Online. All opinions are my own. Students can visually explore curated topics, finding connections in a safe space. Students can search on the topic at hand to read. Each article is available in three lexile reading levels, allowing teachers to assign the same articles to everyone in the class, whatever their level. Articles relating to standards can be found in a snap. Let’s look more closely at Kids Discover Online. Inquiry-based learning helps students think and learn, but it can limit the scope of their inquiry when you’re selecting texts for them to read. If you let students search on the Internet for articles, it can be hard to know what they’re reading and if it’s relevant. My favorite thing about Kids Discover Online is the “discover” mode that helps kids investigate topics of interest. (See the graphic below.) This view helps students visualize and begin to understand relationships. In discover mode, with several quick clicks, students can drill down to a topic. Some students won’t understand mind-mapping look of discover mode. That’s OK, because they have the option of finding articles in a simple, tile-based view that you can also filter by subject. This way, students can search and then scroll down until they find the topic of interest. Traditional search mode in Kids Discover Online uses tiles for a Pinterest-style look. Students can filter by subject and see articles of interest. This is another way for students to explore and learn. Inside Kids Discover Online, you can create a simple classroom (even without email) where students can be assigned reading, take quizzes, and more. Although inquiry-based is excellent, sometimes you need to assign supplemental reading. Let’s say that you’re studying the 1963 March on Washington. You can find and add the reading to your classroom, where you can easily assign students to different lexile reading levels. Every article on Kids Discover Online is available in three reading levels. That way, all students get the same content in a way that they can understand. After students read, they can take a quick assessment about the topic. They can sign in with Google Accounts or Clever, making joining a snap. However, students don’t need an email to sign up. Students can take an assessment just after reading. Teachers can assign questions from the question bank or add their own. Those of you wanting to quickly meet a standard will be thankful for this approach. You can easily select a standard and get a listing of topics for your classroom. This makes it easy to select and assign nonfiction reading in science, history, and ELA. In this graphic, you can see a teacher using Kids Discover Online quickly searching by standard, and adding a reading assignment to their class. This simple method is a huge time saver. The classroom inside Kids Discover Online is easy to manage and view. Kids Discover Online is a fantastic supplementary tool for science, history, and ELA teachers who need students to read relevant, high-quality, nonfiction texts and assess for understanding. In many cases, students get so excited by exploring their reading options that organic conversations can happen on topics they’re studying as a class. Kids Discover is simple. Get started today for free. The post 4 Reasons to Use Kids Discover Online for Inquiry-Based Learning appeared first on Cool Cat Teacher Blog by Vicki Davis @coolcatteacher helping educators be excellent every day. Meow! Today Kecia Ray @keciaray former president of ISTE helps us understand five transformative practices that help teachers become superheroes. If you don’t “get” why technology is important, or know people who don’t, take a listen to understand and learn about transformative practices that work in education. Today’s sponsor is Kids Discover Online. They’re doing awesome things to drive inquiry based learning. The Kids Discover online platform lets students enter discovery mode. This fun, visual tool lets students explore 150 different science and social studies units for elementary and middle school learners. And while they can explore a wide variety of topics from the US Constitution to Ecology and Ancient China, I also like that you can assign these nonfiction texts at three different lexiles to supplement what you’re doing in the classroom. Below is a transcript modified for your reading pleasure. Notes from Host, Vicki Davis, are written in the green shaded boxes as part of the notes. For information on the guests and items mentioned in this show, scroll down to the bottom of this post. Today’s sponsor is Kids Discover Online. Vicki: Today we’re talking with Kecia Ray @keciaray. She’s one of the most fantastic people for understanding how technology is being used throughout the world, and she is the former president of ISTE, the International Society for Technology in Education. Kecia, tell us about the topic we’re going to talk about today. Kecia: Hello, Vicki, you are such a champion and hero of mine. I wanted to talk today about why I think Teachers Using Technology are Super Heroes. So, I’ve got five things that I believe make a teacher who uses technology and really embraces it – a superhero. Kecia has an important point here — it isn’t where you have technology but how you use it. Vicki: Awesome! OK, what’s our first? Kecia: So, the first thing that make a teacher a superhero is the way they use data to improve learning and mastery for their students. And teachers who use technology can use technology in such a way where they’re collecting formative data every day, every single moment of the day. And they look at that data, every single moment of the day, and they analyze it, and they decide what needs to be done to redirect construction, to regroup, to reteach, to enrich, to enhance – all on the spur of the moment, because they have ready access to the data. You can only do that if you know how to use technology, especially really fabulous software, which teachers who use technology know how to find. Vicki: And this is so important! I’ve literally got a lesson tomorrow with six formative checkpoints as we’re having our class discussion and talking. And it’s just so important and empowering for the teacher, you know? Kecia: Oh yeah, absolutely. When I was teaching – which I’m going to have to admit was back in the hey days of the eighties – we didn’t have that. And I say frequently to my sister, who has access to this in her classroom, “You are so lucky! I would have to wait until the end of a week, and then I would have to address any kind of challenges for the next week.” And so, we were always lagging in the way that we were redirecting instruction because we just didn’t have immediacy of the data. You guys, the people in classrooms today are so privileged because they have that kind of access all the time. And you can move so much faster through mastery when you have access to that. Kecia: (laughs) That’s so true. OK, this may be a little “out there,” but I’ve gone into so many classrooms who are really experimenting with AR and VR and using video conferencing. Now, I know these are new technologies, and technologies – well video conferencing isn’t new but it’s, it’s a technology that sometimes is challenging to introduce into a classroom – but if you can, the level of interaction that you can bring into your classroom — and exposing your kids to experiences far, far, far beyond the walls of the classroom is just extraordinary. And teachers who bring these types of technologies into their classroom increase interaction in their classroom, they increase engagement in their classroom, and they are assured to have more enthusiastic learners. I’ve seen it first-hand, I know it, and I believe it. Learn about AR and VR. A popular, easy to use Augmented Reality app is Aurasma. Dr. Tim Green explained how schools are using this on episode 52. Steven Anderson @web20classroom explains Augmented Reality and Virtual Reality in episode 29. Vicki: And you know what? Google Cardboard costs like, what — $12 – and every kid has a smartphone. So how hard is it? Kecia: Yeah! It shouldn’t be that hard. I mean, it really shouldn’t. And it is so engaging. I mean the kids are just drawn to it, they’re drawn to it. To them, it’s like a game. And anytime – you know we had a fabulous speaker at ISTE a few years ago, who talked about gaming in the classroom. Anytime you can take your classroom and transform it to something that is inspiring for kids, that’s something that is really going to switch that light on for them. And I’ve seen classrooms where they’ve done the VR and AR, and even the Augmented Reality where they have – I just saw a new app today. It’s Indigital. It’s in Australia. It’s Aborigines. You can take a picture of an object and put it into a location where it ONCE existed, and the object walks around! Jane McGonigal spoke at ISTE in 2013. Check out her TED Talk here on how gaming can make a better world. The app that Kecia is talking about seems to be Indigital. The story behind this app is fantastic as the aboriginal woman asking for funding struggled to find investors but she’s transforming the thinking of many. Kecia: It’s just so cool. Kecia: (laughs) Yay, you’re validating me! I could still go back in the classroom. Thanks, Vicki! But once you have them hooked in the lesson, you can go, you know, the sky’s the limit. The next one? This is not necessarily something you might teach in a classroom, but it’s certainly something that’s relevant to every student and every teacher in our schools, and that’s social media. Social media is something students are going to explore on their own, no matter what. So, having a teacher who understands social media and who can model good social media practices is one of the most beneficial assets a school can have today. A teacher who understands and who models social media – great social media practices. Listen to Jennifer Casa-Todd talking about how to help kids become social media leaders. She’s author of the book Social LEADia. Vicki: Excellent. And that is very true. What’s our fourth? Vicki: Well, those that want to get out of things. But… like, I had a student that had to go home today, and I said, “Oh! Do 107 and 108, and then I’ll see you tomorrow. And they were just able to go into my Learning Management System and just do it. To learn more about how I do blended learning, see 5 Effective Blended Learning Best Practices. Kecia: Yeah! Yeah! It’s just there. No missed time. There’s no gap! Vicki: OK. What’s our fifth? Kecia: The fifth one is connected teachers. So, connected teachers influence connected learners. Teachers who connect through their professional ed tech networks learn new and cool things to introduce to their classroom every day. People listening to this podcast are going to learn some of the things we’ve talked about. People who follow you learn stuff every single time they click on your Twitter or Facebook or anything. You’re such a wealth of information for teachers, and for lead learners across the country and world. But, you’ve got to stay connected. And teachers who do that and stay connected to their peers across the country and throughout the world make them better teachers. And because they’re so connected, it also makes sure that their learning and their teaching is more relevant to their students. Vicki: So, Kecia, I have a question. So, these are awesome. I love and totally agree with all of them. Is there a mistake that teachers who are trying to use technology make, that’s a common mistake? Kecia: Well, I think that probably our most common mistake that I see is when they just substitute the technology for something else, and they don’t really transform their practice. So, when I, again, a million years ago started teaching — started on a blackboard, moved to a whiteboard, then moved to an interactive whiteboard — if my teaching pedagogy didn’t shift, then I’m really not doing anything different than using chalk and a blackboard. So, I think the most common thing is they just substitute that technology, but they don’t allow it to push their pedagogy and to really think differently about how they could deliver the content, or create their lesson in an interactive, engaging, innovative, facilitated way. They just kind of stick with the norm. Could your teaching be put in the 1980’s and fit in? Or is it truly using today’s tools in a powerful way to engage students? Are you sticking with the norm or are you breaking it and being remarkable? I ask myself this every day. Kecia: Yep, you really don’t. If you think about where kids are when they leave your classroom – they’re going to be gaming, they’re going to be online, they’re going to be in a lot of stimulating and typically media-rich environments. So if they come to your classroom, and they don’t have anything that’s stimulating, and they don’t have any rich media — then they ARE going to check out. And they are going to find ways to disrupt you, because they’re not interested. I think the interest lies in the way that we deliver the instruction. Vicki: So, teachers, we’ve gotten so many fantastic ideas. We need to use our data to improve learning, with formative assessment. Use Augmented Reality and Virtual Reality. I’ll include some links to some shows in the Shownotes that we’ve done before, because there’s so many great ideas. Use social media, and I’ll also have links there. Look at a Learning Management System and blended learning, because every classroom is made of bricks and clicks, and we’ve got to put those two together. And then be connected! I would recommend that you connect with Kecia, and connect with so many of the guests that we have on the show, because there’s so many people out here who can really inspire us and give us so many great ideas. Kecia: Thank you. It’s been my pleasure. Make sure they get all my contact information. I’d love to connect with everybody. Dr. Ray’s career includes designing technology within the Frist Center for the Visual Arts and directing technology research through Vanderbilt University School of Medicine Science Outreach programs. As a district administrator for Metropolitan Nashville Public Schools, she led the award-winning design, implementation, and evaluation of instructional technology programs including instructional design for online and blended learning environments, redesigning physical learning environments, establishing the virtual high school, and redefining school libraries. After publishing an assessment to measure technology literacy in 1999, she conducted research in the US, Canada, and South Africa on the use of technology in the K-12 classroom and the use of distance learning technologies to facilitate engaging learning environments. Dr. Ray is published and recognized internationally for her work in online and blended learning as well as flexible learning environments. Dr. Ray is a member of the International Society for Technology in Education (ISTE) and is past president of the ISTE Board of Directors. Dr. Ray also serves on the board of eLearn Institute and the board of Learning Bird Inc. She was appointed by Governor Haslem to the Advisory Council on Alternative Education in 2013 and appointed by the Tennessee state commissioner of education to a Personalized Learning Advisory Committee in 2014 and 2015. In 2015, she was invited to serve on a USDOE technical working group focused on evaluating education technology. She is a four-time recipient of the Presidents Volunteer Service Award and the ISTE lifetime achievement ‘Making IT Happen’ Award. Dr. Ray was named ’20 to Watch’ by the National School Board Association and one of the top 10 EdTech Leaders by Tech and Learning. Dr. Ray is the Executive Director of the Center for Digital Education and an adjunct professor at Johns Hopkins University. The post 5 Reasons Teachers Using Tech are Super Heroes with Kecia Ray appeared first on Cool Cat Teacher Blog by Vicki Davis @coolcatteacher helping educators be excellent every day. Meow!